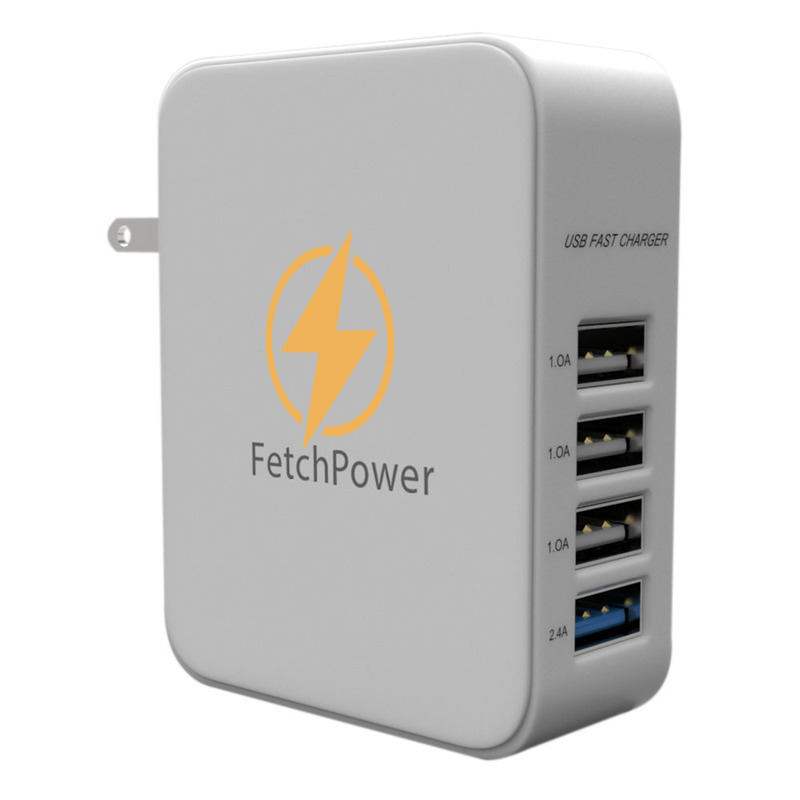 I recently tried out the Fetchpower 4-Port USB Hub! I love this product! It allows you to charge up to 4 devices all at once! This is so convenient! Between my phone, my husband’s phone, the iPads, and whatever else finding a USB port to plug everything into isn’t always easy at our house! With this nifty little box you can plug them all in at once! We just line them all up on the desk and plug them in! It’s compatible with all devices that use a USB plug which is just about everything we need it for. It’s also small enough you can take it with you just about anywhere. I have our set up on the desk but it would be super easy to pack it up and take it along on family trips as well. I don’t know about you but it seems like plug ins are in short supply in hotel rooms so this would be perfect! One turbocharger USB port plus 3 traditional ones – you can charge four devices at the same time! Super easy to use – just plug it into the wall, then plug in your device. Any device that uses a USB cable works! Works for iphone 4, 5, 6 Plus, including c and s models. Samsung galaxy tab, note, htc one, smartphones, tablets, headsets, laptops (mini, air, etc.) and many, many more! Built to last and use safely… includes over-voltage, over-current, over-heating and short circuit protection. Consider purchasing more than one unit – keep one with you and leave one at home to always have charging capabilities! You can purchase this USB Charger on Amazon!